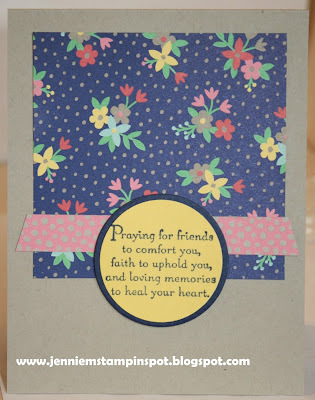 This card uses the Pals Paper Arts#320 here. 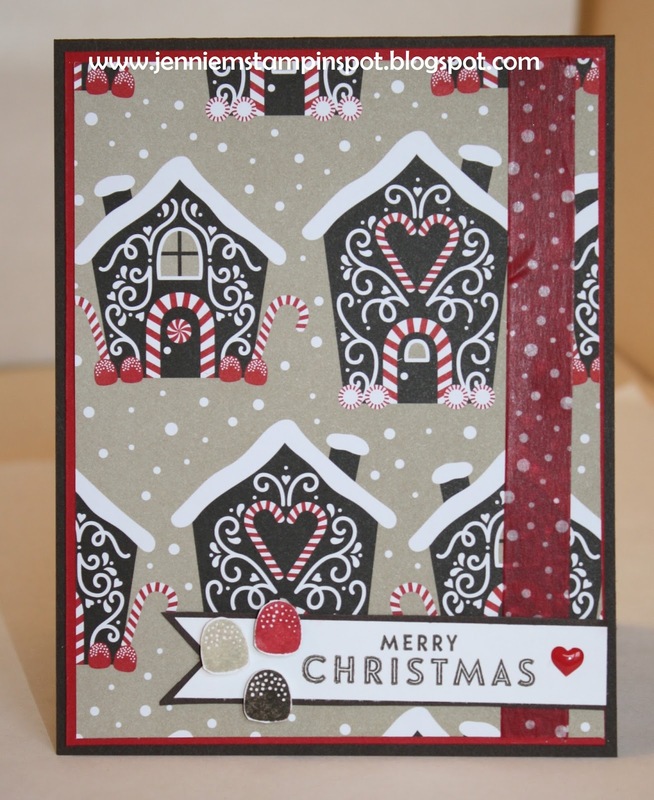 The Candy Cane Lane suite is featured using the Candy Cane Christmas stamp set, Candy Cane Lane DSP and Candy Cane Lane Designer Washi Tape. I also used the Flurry of Wishes stamp set and a Brights Enamel Shape. 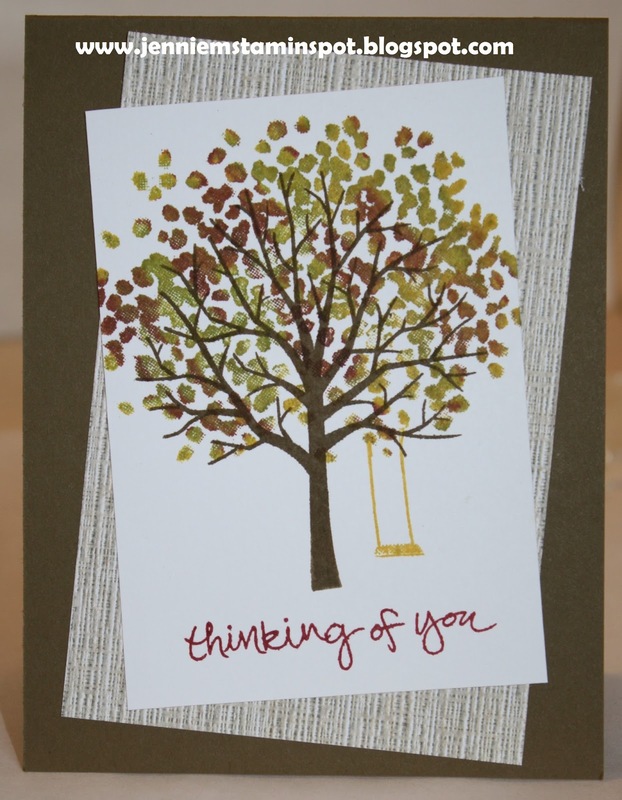 This card uses the Freshly Made Sketch#256 here. 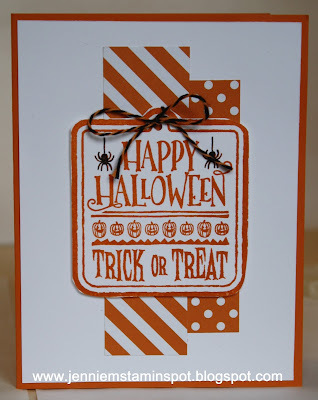 Halloween Treat is the stamp set with some Pop of Pink Specialty DSP. Another double duty card for a sketch and a color challenge. First, I used the MojoMonday Sketch#467 here. And the Splitcoast Color Combination#602 here. The colors to use are Rich Razzleberry, Sweet Sugarplum and Smoky Slate. Perfectly Wrapped is the stamp set with some 2016-2018 In Color DSP Stack. This card uses the sketch at The Paper Players#314 here. And it's also for TGIF#74 here-Stitching Technique. 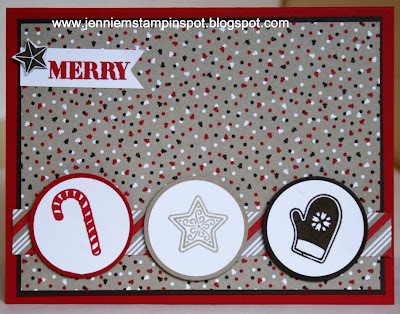 I used Festive Season again since I had it on my desk and also used Candy Cane Christmas for the sentiment. Then ran the star thru the Big Shot with the coordinating Festive Stitching Thinlits and stitched it with some Baker's Twine Trio pack. Also used a bit of Warmth & Cheer DSP Stack. 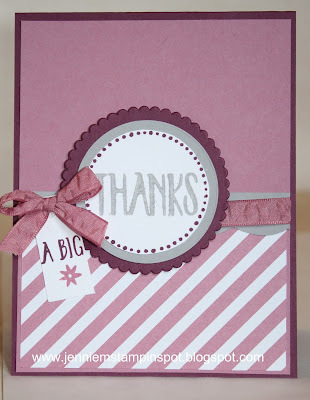 This card uses the Hand Stamped Sentiements #247 here. 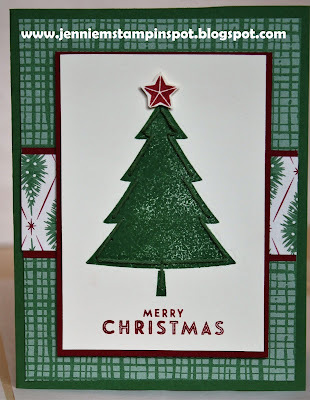 Festive Season is the stamp set with some This Christmas Specialty DSP. 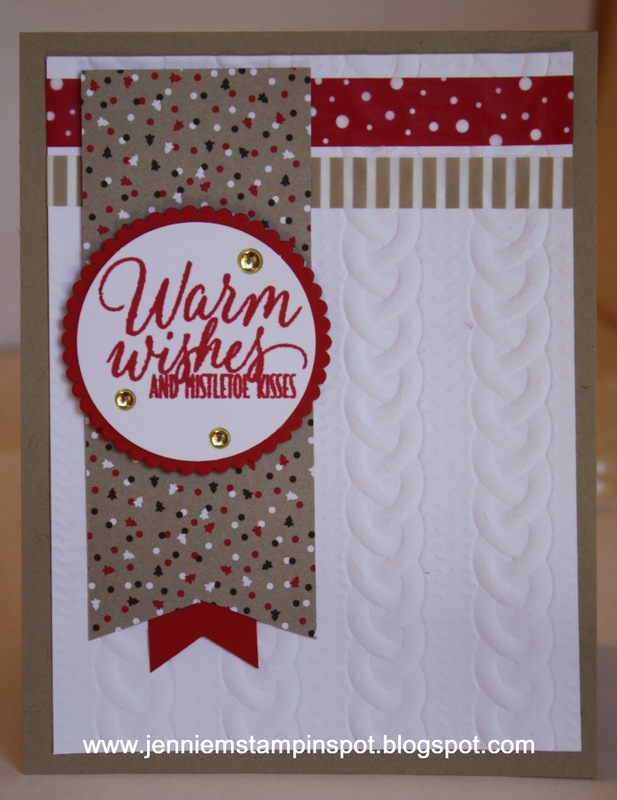 The Warmth & Cheer DSP Stack isn't just for Christmas cards as you can see by this card! And it's a perfect card for a guy! 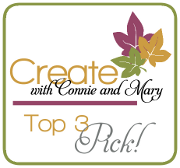 I used the Create With Connie & Mary#425 here for the sketch. Here's another double-duty card for a sketch and a color challenge. 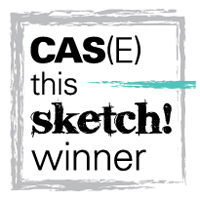 First, the sketch from Freshly Made Sketches#255 here. 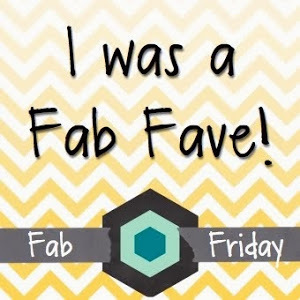 And second, the Fab Friday#96 here is the color challenge. 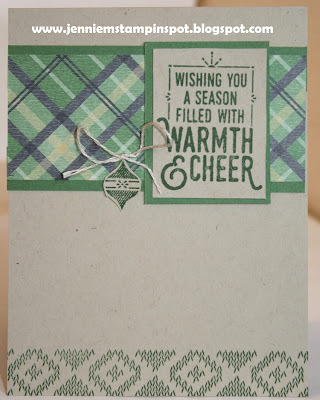 The colors to use are Very Vanilla, Delightful Dijon and Emerald Envy. 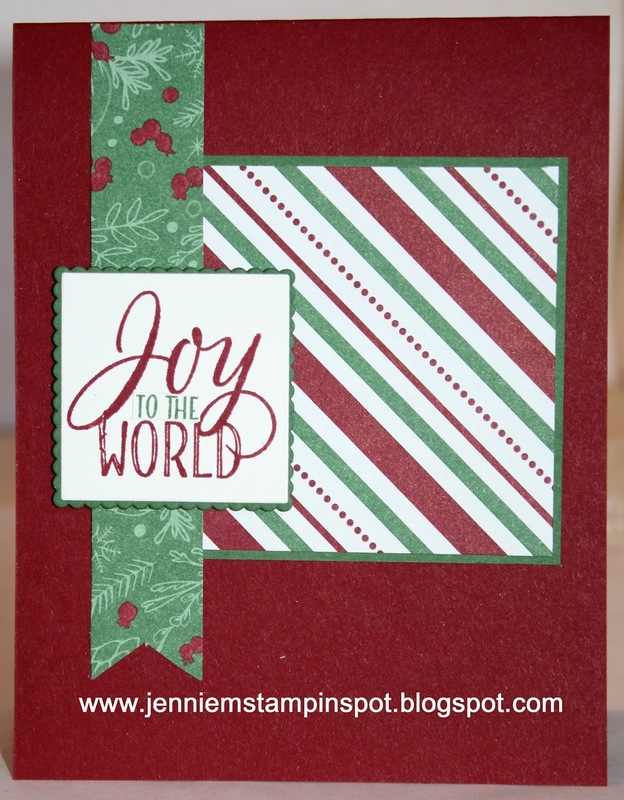 Holly Jolly Greetings and Candy Cane Christmas are the stamp sets with some Warmth & Cheer DSP Stack. I'm on a roll with the double duty cards! This one is for a sketch and a color combination. First, I used the MojoMonday #466 here for the sketch. And second, the Splitcoast Color Combination #601 here for the colors. The colors to use are Melon Mambo, Mint Macaron and Dapper Denim. 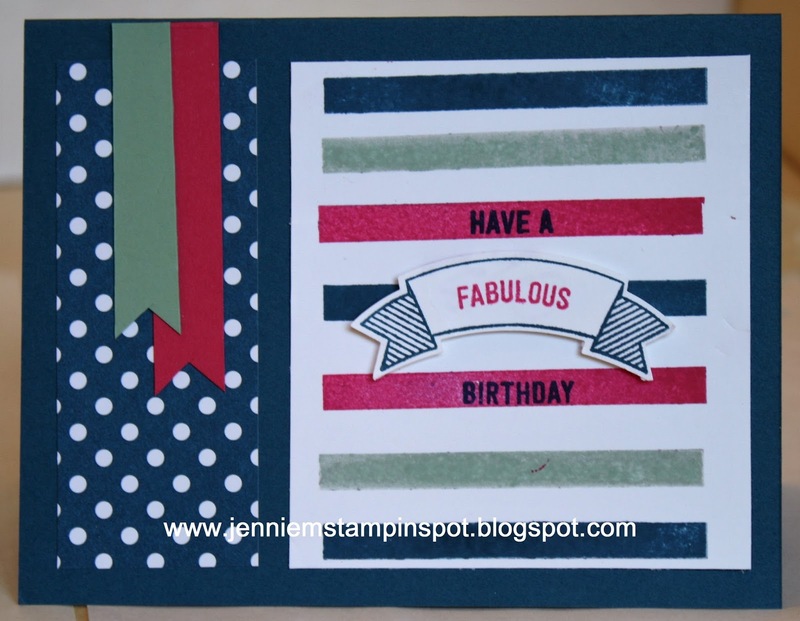 Thoughtful Banners is the stamp set with some 2016-2018 In Color DSP Stack. This card uses two challenges. 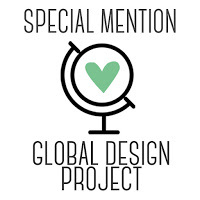 First, I used the sketch from the Global Design Project#054 here. 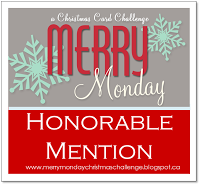 And second, the Merry Monday Christmas Challenge#214 here- Keep Warm. I think the Cable Knit Dynamic Textured Impressions Embossing folder reminds me of a cozy, warm sweater! And the sentiment from Tin of Tags surely sends warm wishes! I love this sketch because it makes for a quick and cute card. I used the Pals Paper Arts#318 here. 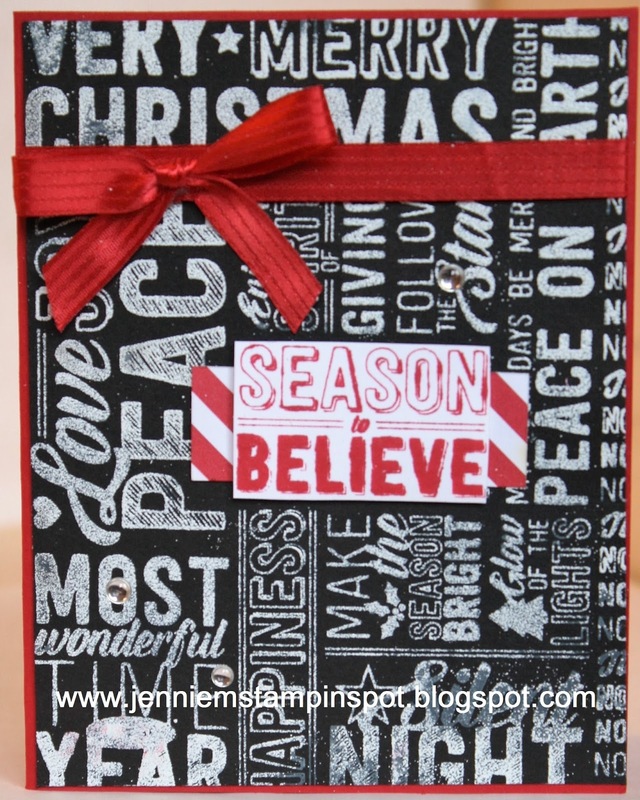 I just love this new background stamp from the 2016 Holiday Catalog! You can use it as a background or use pieces and I did both here. The stamp is called Merry Medley. 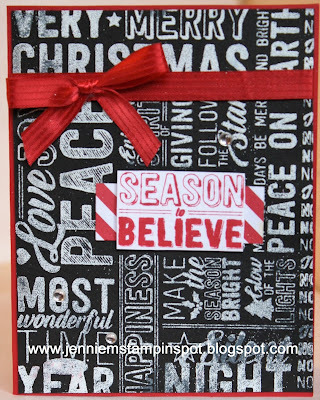 I stamped it in Whisper White Craft ink on Basic Black cardstock to get the chalkboard feel and embossed it with White Embossing powder.Then I stamped again in Real Red to highlight one saying. I added some Brights DSP Stack, Metallic Enamel Shapes and some 3/8 inch Real Red stitched satin ribbon. I can't forget about Halloween! 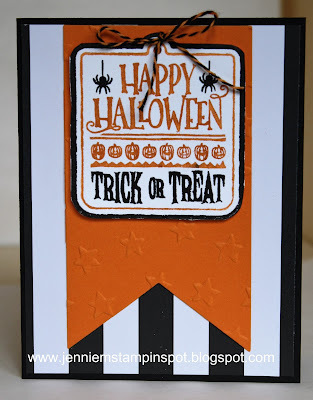 This is the only Halloween stamp I bought from the 2016 Holiday Catalog but I think it's pretty versatile! I used the Freshly Made Sketch#254 here for the sketch. Halloween Treat is the stamp and I paired that with some Brights DSP Stack and a bit of the new Halloween Night Baker's Twine. 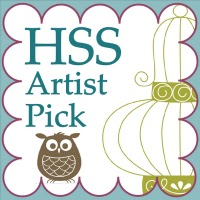 This is a perfect sketch for showing off all that awesome DSP in the 2016 Holiday Catalog! The sketch is the Splitcoast Sketch Challenge#610 here. 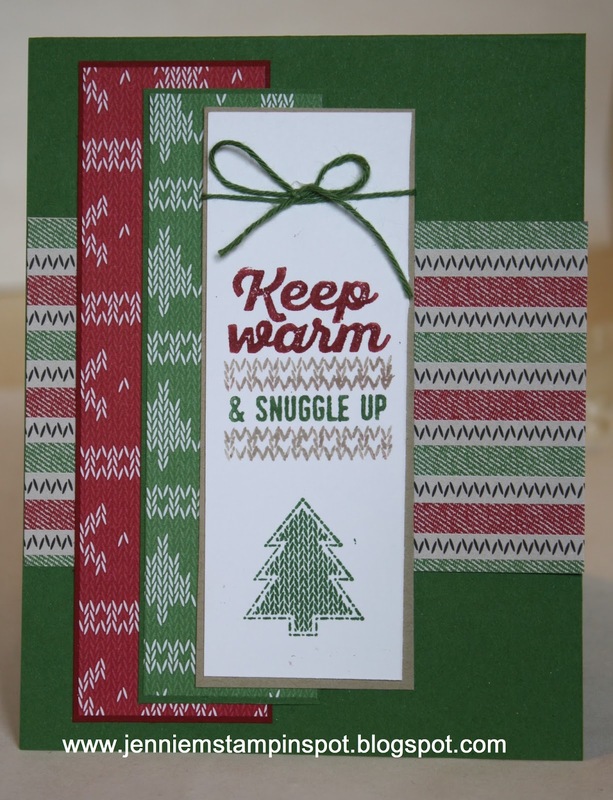 Wrapped in Warmth is the stamp set with some Warmth & Cheer DSP Stack. 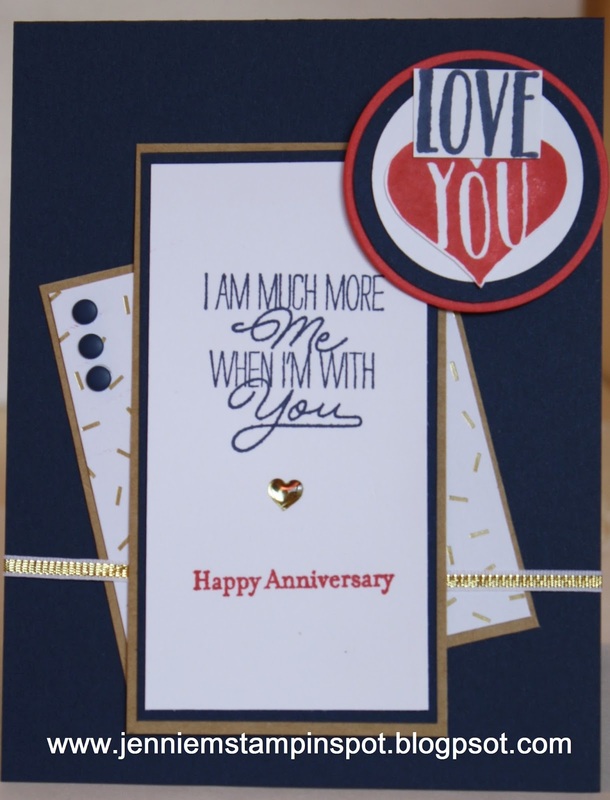 My anniversary is next week so of course I needed to make a card for my husband. It's our 24th anniversary and I'm so very blessed to have such an amazing life! I used a sketch and a color challenge for this one. First, the sketch is from MojoMonday#465 here. 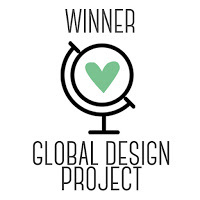 And the color challenge is for the Global Design Project#053 here. The colors to use are Gold, Night of Navy and Watermelon Wonder. I used three stamp sets, Scenic Sayings, Layering Love and Teeny Tiny Wishes with a bit of the Pop of Pink Specialty DSP. Obviously I'm on a Christmas card kick but I can't help playing with all the awesome goodies in the 2016 Holiday Catalog!! 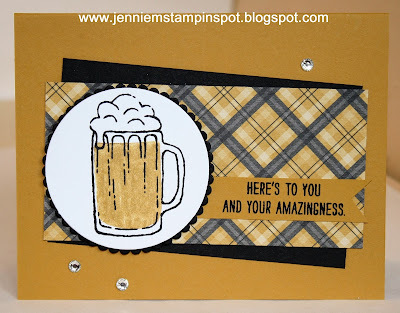 This card uses the TGIF Challenge#72 here. 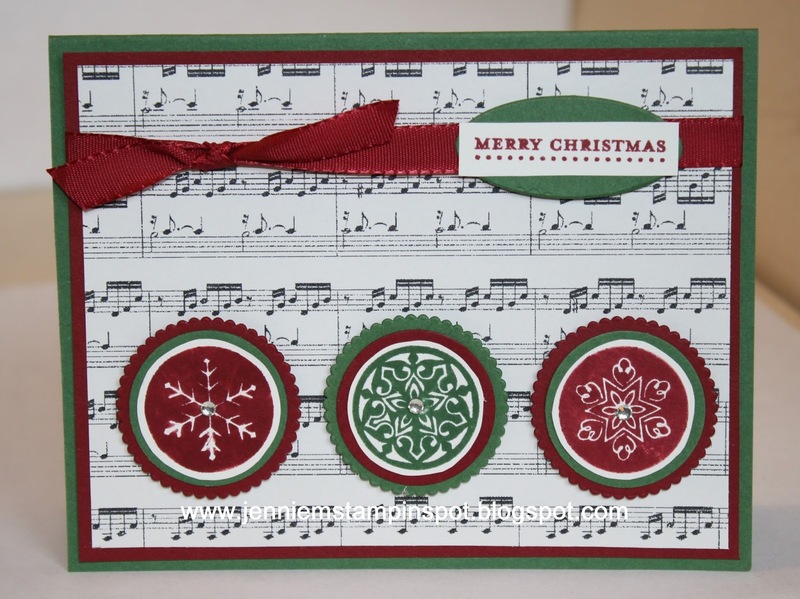 I also used three stamp sets, Candy Cane Christmas, Holly Jolly Greetings and Festive Season (for the star). And of course some Candy Cane Lane DSP. 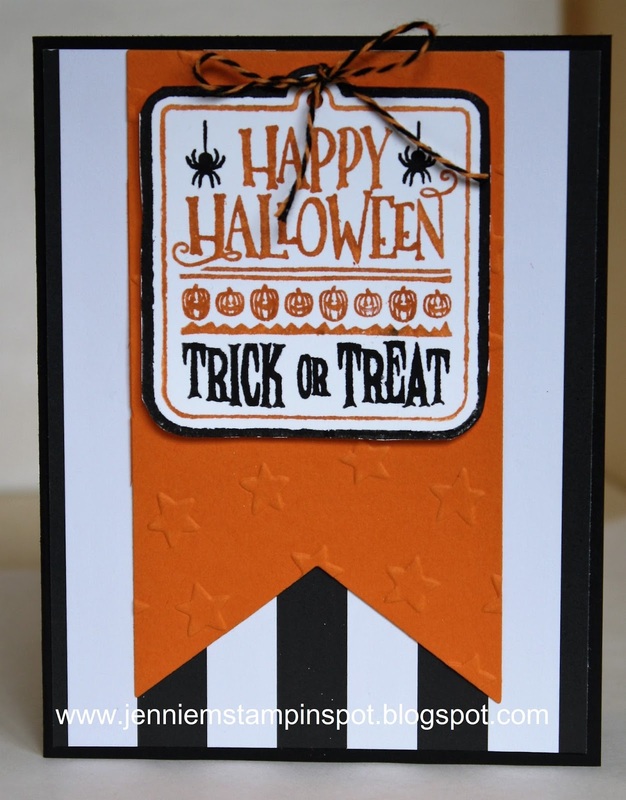 This card uses the Create With Connie & Mary#423 here. Wrapped in Warmth is the stamp set with the coordinating Warmth & Cheer DSP Stack. This card is for the Splitcoast Sketch#609 here. 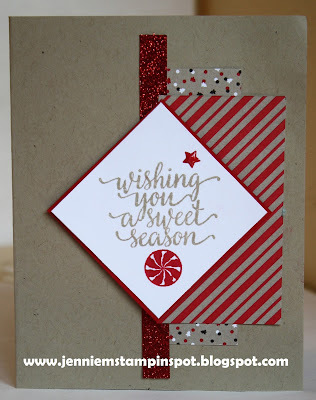 Festive Season and Flurry of Wishes are the stamp sets with some This Christmas Specialty DSP. This card is for the Can You Case It#136 here. Sheltering Tree is the stamp set with a bit of some Serene Scenery DSP Stack. I made the leaves multi-colored by using the Crushed Curry stamp pad first, then Old Olive and Cherry Cobbler markers to randomly color over the Crushed Curry. I really like the results! Unfortunately I need a few sympathy cards, but the Freshly Make Sketch#253 here made it easy. Thoughts and Prayers is the stamp set with some Affectionately Yours Specialty DSP. For this card I kind of cased myself here. But this card also uses two challenges. First, I used the FabFri#95 here for the sketch. And then The Paper Players#311 here for the theme, circles. I just LOVE polka dots so I had to play! 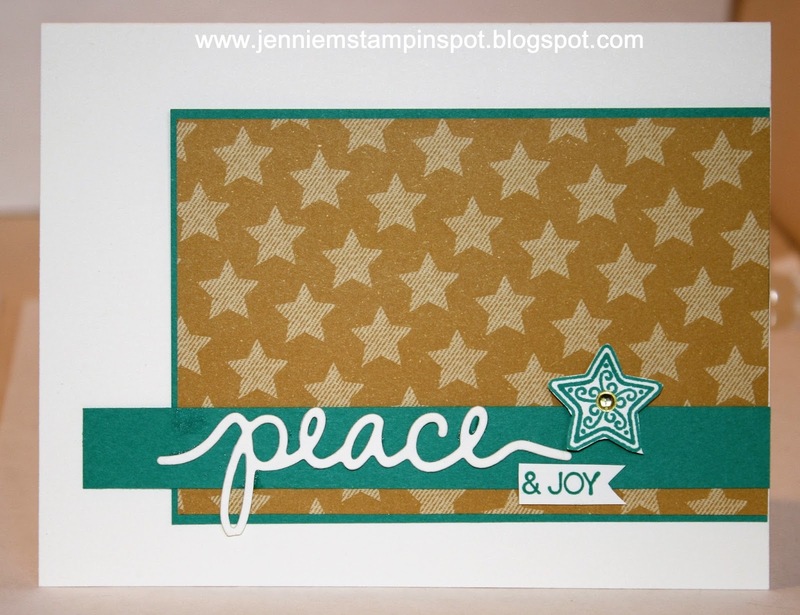 My Hero is the stamp set with some Brights DSP Stack. 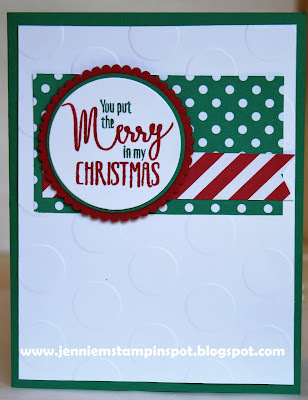 I even ran the Whisper White thru the Large Polka Dot embossing folder. 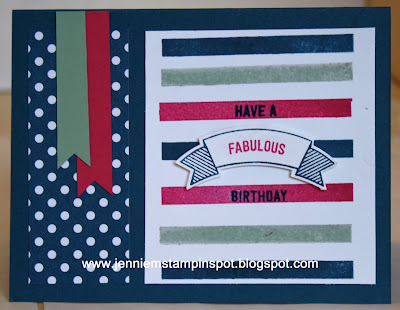 I love how quick this card came together thanks to the MojoMonday Sketch#464 here. 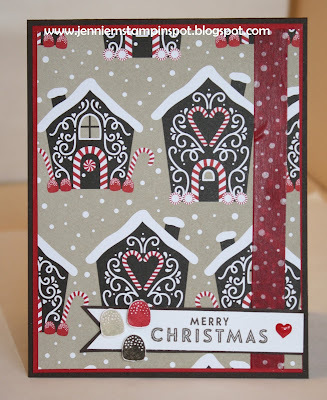 Candy Cane Christmas is the stamp set that coordinates oh so well with the Candy Cane Lane DSP! I also used a bit of Red Glimmer paper and a Brights Enamel Shape. 2016 Holiday Catalog is up for Sale! 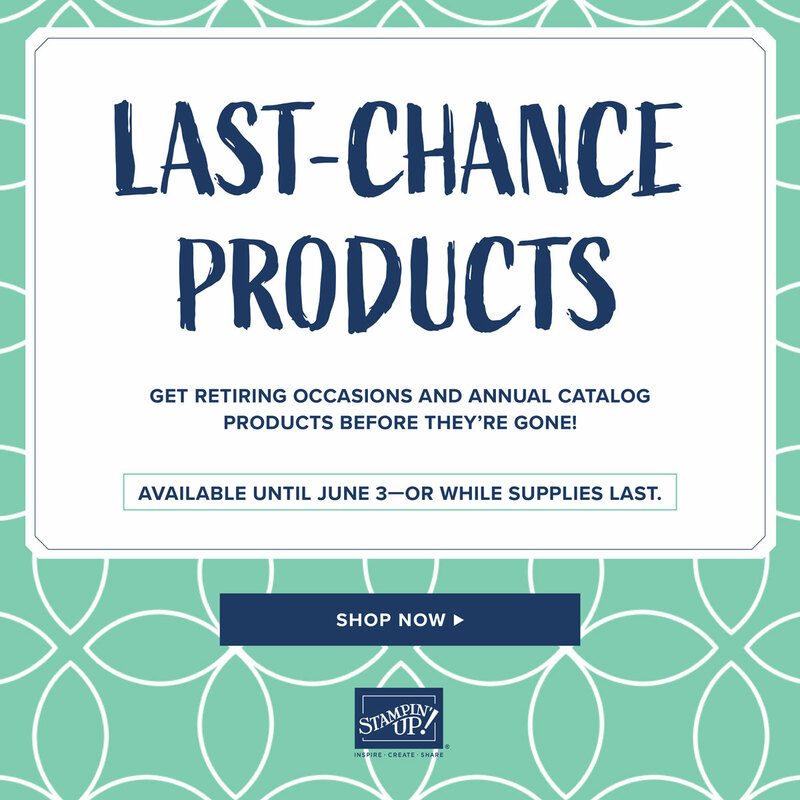 The 2016 Holiday Catalog is up for sale! It's a great one! 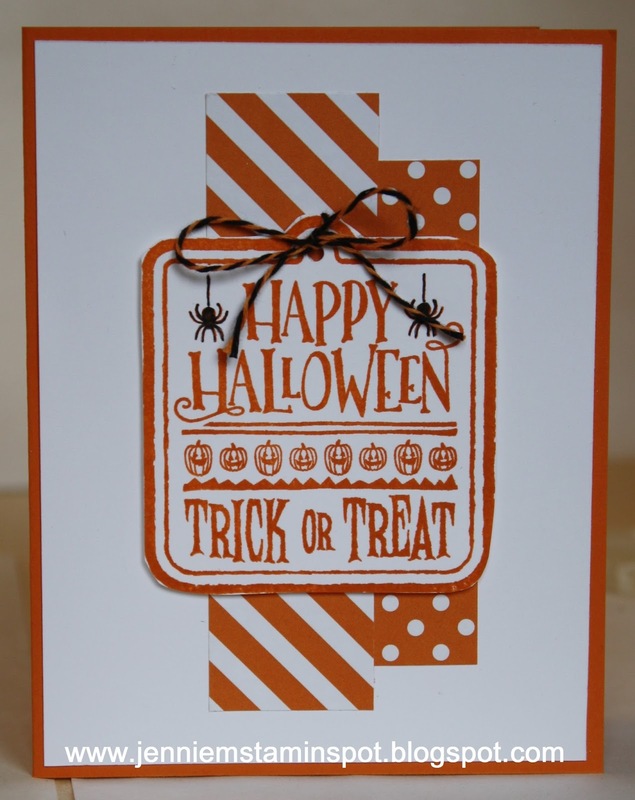 I used a bunch of products from it for this quick and cute card. The stamp set is Cookie Cutter Christmas with it's coordinating punch, Cookie Cutter Builder punch. I also used Teeny Tiny Wishes for the sentiment. 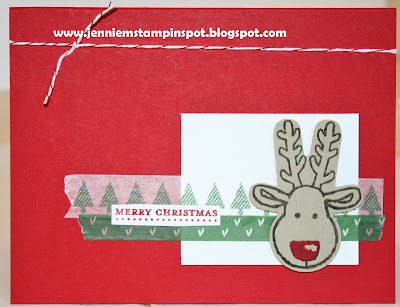 I used some Warmth & Cheer Designer Washi tape and some Candy Cane Lane Baker's Twine.